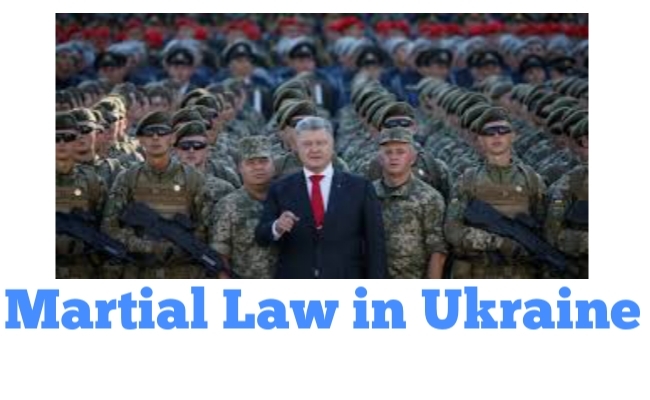 Recently, Martial Law in Ukraine is implemented from 28 november 2018 due to attack of Russian navy on Ukrainian Ships. Now Ukraine has closed way from Sea of Azol to Black Sea to go gulf countries. But many Countries are raising sharp voice against Russia for it’s move against Ukraine. Generally, martial law is implemented when a country incurs civil unrest. It is used in time of nationati crisis or if country is in a situation of war. Ukrainian president Petro Poroshneko had said, ‘It will implement martial law for 60 days. But, changed decision to 30 days’. Introduction of martial law it doesn’t mean a declaration of war. 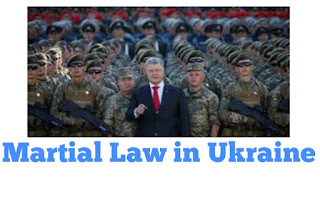 Martial law will not be applicable in all part of Ukraine. What is martial law ? Martial law will be different from country to country. The imposition of Martial Law accompanies curfew. the suspension of civil law, civil right, heabus corpus. and the application or even extension of military law or military justice to civilians. If civilians are defying martial law may be subjected to military tribunal. Martial law affects only fundamental rights. while natiional emergency has wider implications upon federar scheme, fundamental rights, distribution of power etc. The martial law can suspend the government as well as law of ordinary courts. In case of natiional emergency, ordinary courts of law keep working. Martial Law is imposed when breakdown of law and order while emergency is imposed at the time of war, armed rebellion or external agression. Countries like Australia, Canada, China, Iran, Israel, Pakistan, and USA used martial law in past. In United States, martial law used in limited number of circumstances. In case of foreign attack such as Japanese atack on Pearl Harbor. Generally, civilians comes under threats at this time because scarcity of democracy so they suffer mostly. Courts can’t do work properly. Political party which remains in government always threats to opposite party. Pakistan like country has fresh memories of martial law because of destruction and deaths of civilians. In this way we discussed general information about martial law and presence Ukrainian martial law overview.